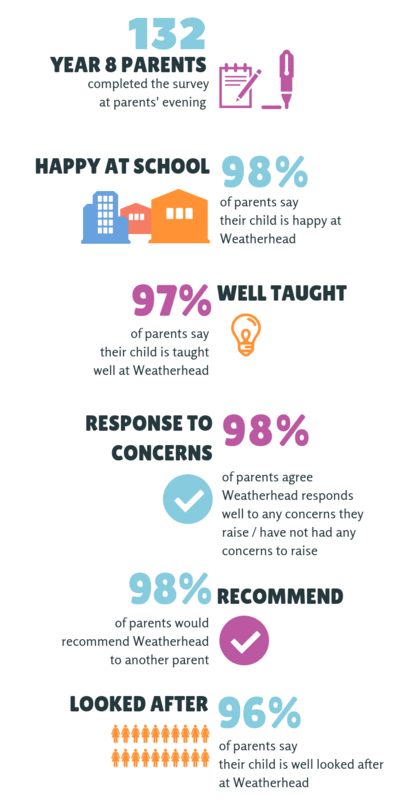 Year 8 parents and carers were invited to complete a survey about their child’s time at Weatherhead High School so far this academic year. The survey was conducted at the autumn term parents’ evening and we received 132 responses – thank you. We want to thank those participants for taking the time to complete the survey and to share the results with the Weatherhead School Community.